Last night(February 9th) the MusiCares Person of the Year honoring Dolly Parton took place at the Los Angeles Convention Center in LA. 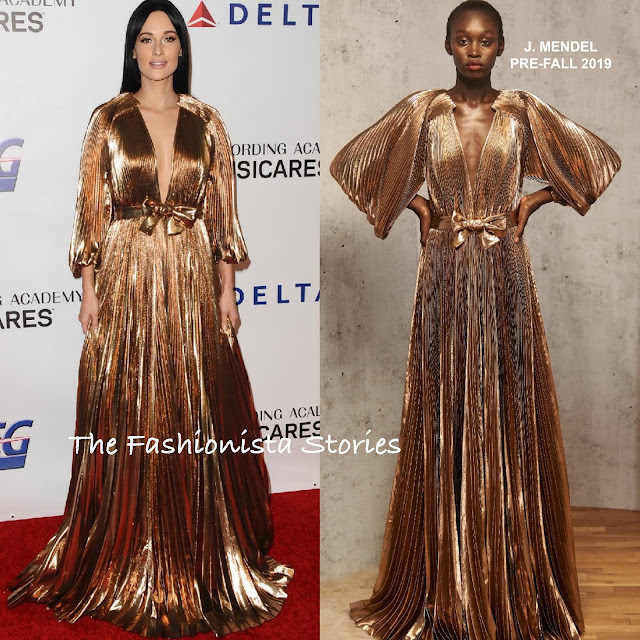 Katy Perry posed in a ELIE SAAB SPRING 2019 Sequin embellished organza puffy sleeve dress featuring a v-neckline, faux wrap front slit, and a full length cape paired with the matching sequin thigh high boots. Given the event and that it's on Katy, it works. Kacey Musgraves stylist Erica Cloud is doing such a great job styling her. She worked the carpet wearing a J. MENDEL PRE-FALL 2019 gold lame pleated gown, featuring a plunging neckline, which was adorned with a bow. She finished up with a flawless beauty look. Miley Cyrus showed some leg wearing a FRANCESCO SCOGNAMIGLIO SPRING 2019 COUTURE black long sleeve, sequin mini dress, featuring padded shoulders and a ruffled bodice. The dress is cute but she shouldn't wear padded shoulders. 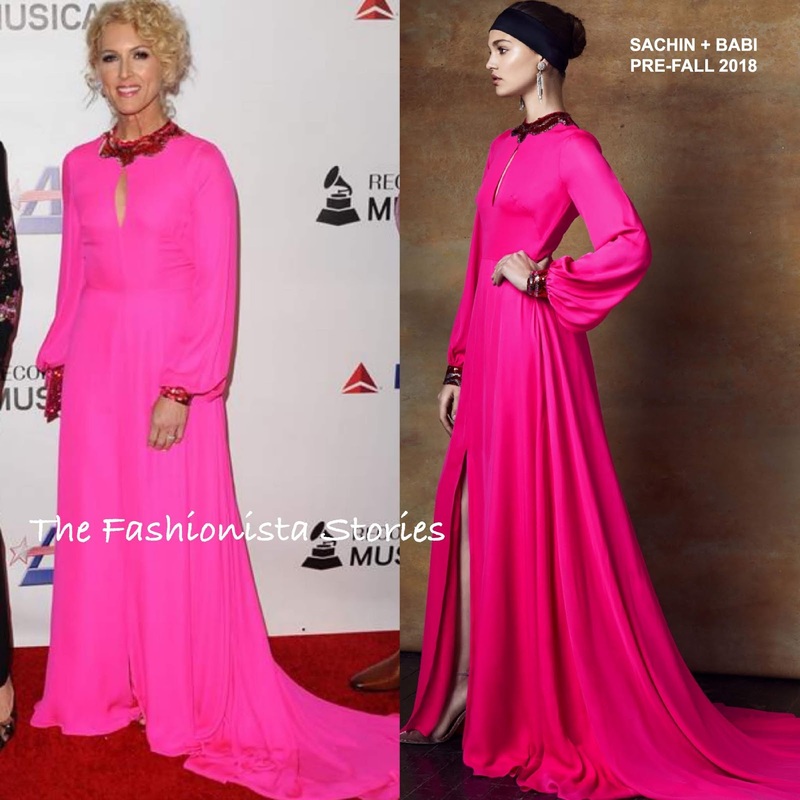 Kimberly Schlapman of Little Big Town, could not be missed wearing a SACHIN + BABI PRE-FALL 2018 fuchsia long sleeve gown, featuring a key-hole bodice, and a contrasting red sequin neckline & cuffs. Karen Fairchild of Little Big Town went the power suit route, wearing a LIBERTINE FALL 2018 black floral suit. Love the suit but this look needs to be edited. She should have gone with a less focus puling top and pumps.